This 4 quart galvanized bucket will last a lifetime. It's reinforced with dual body swedges, a wire rim, offset bottom, and sturdy handle. Each rust proof 4 quart bucket can hold up to four standard size bottles and ice, making them perfect for cookouts and tailgates. 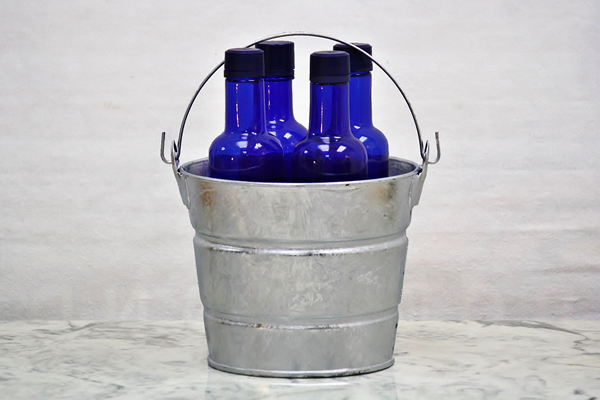 The vintage appearance and shape of these 1 gallon galvanized steel buckets will be sure to impress your guests. This 4 quart metal bucket isn't too big or too small. Tactically designed to do almost anything from carrying chicken feed to filling a spreader with grass seed. What will you do with your bucket? This makes for a fun centerpiece at family get togethers. Everyone asks about it!